What follows is a Focus Report on The Rocks of Milton-Freewater. Download a .pdf copy here. Read previous Focus Reports here. 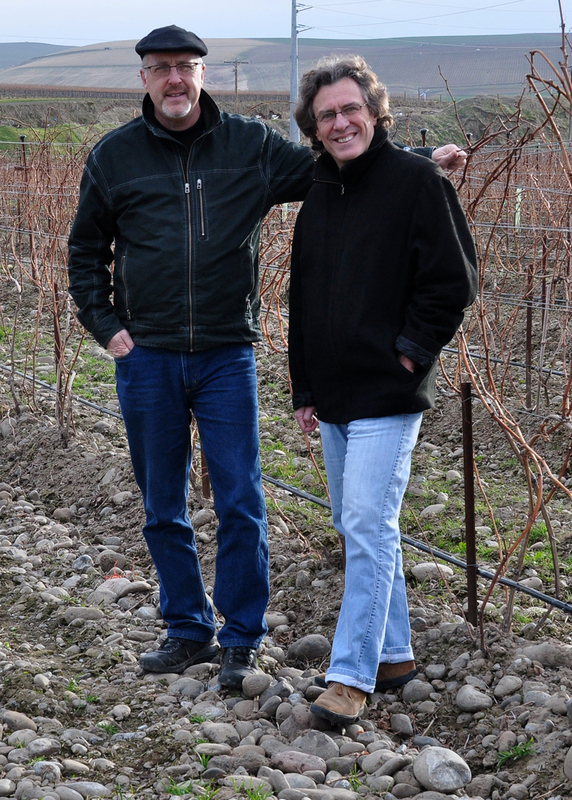 For years, winemakers and wine lovers alike have discussed the distinctiveness of the wines coming from the section of the Walla Walla Valley commonly referred to as ‘The Rocks.’ If Walla Wallans Steve Robertson and Kevin Pogue have their say, the area will soon become its own appellation – one that is almost entirely based on soil type. “I would be very surprised if there was a more terroir-driven AVA in the country,” says geologist Kevin Pogue, who recently submitted an appellation application to the TTB. 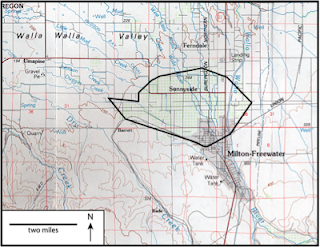 If approved, the area – which would be a sub-appellation of the Walla Walla Valley and wholly located on the Oregon side of the border - will be called ‘The Rocks of Milton-Freewater’ after the small town located in the area. Made famous by vigneron Christophe Baron of Cayuse Vineyards who first planted in the area in the late 1990s, ‘The Rocks’ is currently a hotbed of activity with 250 acres under vine and more plantings going in each year. ‘The Rocks’ soil types are distinct from the rest of the Columbia Valley. Whereas most of the Columbia Valley’s growing regions are defined by their relationship to the Missoula Floods - a series of large, powerful floods that swept through the area tens of thousands of years ago – ‘The Rocks’ region is not. “The primary material from which the soil is derived is not flood material,” says Pogue, a Ph.D. geologist who teaches at Whitman College and also consults for wineries and private parties through his company, VinTerra Consulting. “It’s alluvial material washed down the mountains by the Walla Walla River. 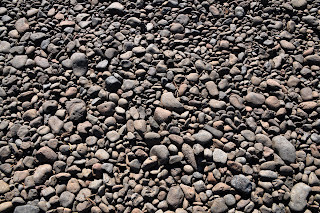 That makes it very different from most Columbia Basin vineyards where the vines are rooted in wind-deposited silt derived from Missoula flood sediments.” What is left is a remarkably uniform soil type consisting of large cobblestones. In terms of the latter, Pogue says that the rocks absorb and radiate heat during the day, warming nearby grape clusters during peak hours. “Each grape is like a little bag of water,” he says. “I found that if the clusters were within a couple of feet of those rocks, they would heat up a few degrees centigrade above what the clusters would be if they were sitting over grass.” Pogue also notes that the rocks facilitate the transfer of heat to deeper layers in the soil and that warmer soils in the root zone invigorate the vine and encourage ripening. Perhaps most importantly though, these differences show up in the resulting wines. Pogue – whose interest in the connection between geology and viticulture extends into the glass – told of recently tasting a flight of Syrahs. “There were four Rocks wines out of the twenty-two,” he says. “I nailed the four of them as from ‘The Rocks’ blind.” Indeed, anyone who has tasted wines from this region cannot mistake the area’s distinctive earth and mineral aromas as well as flavors. 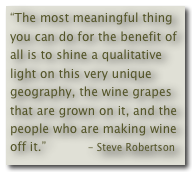 Robertson’s interest in ‘The Rocks’ began when he purchased a vineyard in the area in 2009. This vineyard, named SJR after the initials of his son, is being used to produce a single estate wine, the first of which was released last year for Robertson’s Delmas Syrah. 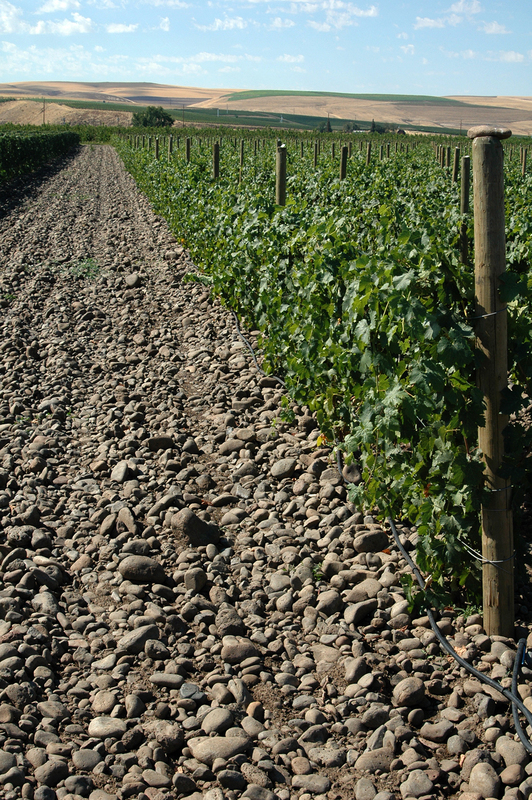 While creating a sub-appellation of ‘The Rocks’ has long been discussed – and truly was inevitable given the uniqueness of the soils and resulting wines – there has been concern over the years about what effect a sub-appellation might have on the Walla Walla Valley brand, particularly with ‘The Rocks’ located entirely on the Oregon side of the valley – to date Washington has owned the Walla Walla Valley brand. The proposed appellation would be 3,767 acres or 4.9 square miles. It currently has 250 acres of vineyards planted and four wineries. It would be located just northwest of Milton-Freewater and is shaped somewhat like a tadpole with a shortened tail facing west (that tadpoles grow into frogs only adds to the necessity of this analogy). Unlike most appellations in the country, the area was defined almost solely based on its soil type. “What was driving the AVA boundary was trying to include as much cobbly ground as possible,” Pogue says. Pogue used soil maps and then corresponded these maps to various boundaries to create the proposed AVA. Once he had done so, he checked his work. “I actually drove the whole area to visually inspect to make sure that the ground had cobbles visible on the surface, and that all that ground was in the AVA,” Pogue says. In the end, he says,“96% of ground within the boundaries has soils that belong to the Freewater Series,” - the soil series type found within ‘The Rocks of Milton-Freewater’. The location of ‘The Rocks’ on the Oregon side of the Walla Walla Valley AVA creates some nuances for wineries looking to use the appellation designation on their front labels. Regulations require that a wine has to be ‘fully finished’ within the state in which the AVA is located in order to use it on the front label. For this reason, licensed Washington wineries would not be able designate their wines as ‘The Rocks of Milton-Freewater’ on their front label unless their production facilities were in Oregon and/or they were also licensed in Oregon. Currently, the only wineries using ‘Rocks’ fruit that would appear to meet this requirement are Cayuse, Otis Kenyon, Watermill and Zerba. Despite this limitation, Robertson believes that creation of ‘The Rocks of Milton-Freewater’ AVA is important, both personally and for the area. “My pitch to myself was, okay, you’re 60 years of age,” Robertson says. “In your life, how many times have you stumbled on something that was so obvious and that no one has yet done? What an opportunity. A decision on the AVA application is expected in approximately one year. Pictures courtesy of Steve Robertson and Kevin Pogue. Recently reviewed wines using a majority of fruit from vineyards in the proposed AVA include the 2009 Cayuse Vineyards an No Girls releases, 2010 Reynvaan Family Vineyards releases (with the exception of the Foothills Reserve), 2010 Proper Wines Syrah, 2010 Delmas Syrah, and 2010 Sleight of Hand Funkadelic Syrah. You can put Washington state on the label and The Rocks M-F AVA (or say Willamette Valley as another example) if not less than 75% of the fruit comes from the AVA and is produced/finished in the same or adjacent/contiguous state. At least, that is how I (and other WA wineries I know that have made wine from Oregon fruit and OR wineries that have made wine from WA fruit) interpret the regs. I'm all for "The Rocks" becoming its own AVA. I really don't care for syrahs from the area, but I do appreciate the uniqueness and distinctive character of the wines. A "Walla Walla Valley Syrah" can mean so many things, but you certainly know one from "The Rocks" when you come across it. This would be a great benefit to not only the producers using grapes from the region, but for consumers as well. Fausse Piste and Domaine Serene are a couple of other OR wineries making Syrah grown in the Rocks. 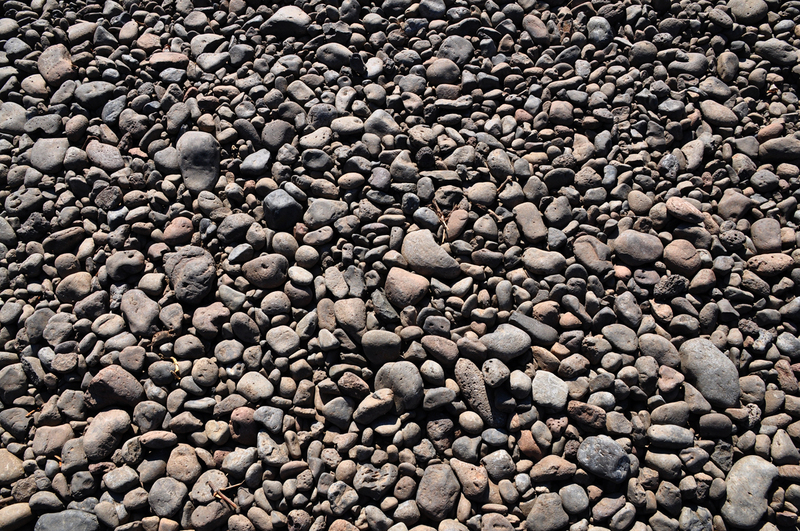 This article states "Currently, the only wineries using ‘Rocks’ fruit that would appear to meet this requirement are Cayuse, Otis Kenyon, Watermill and Zerba" Certainly not. They may be the players behind the new AVA establishment but they are not the only wineries. 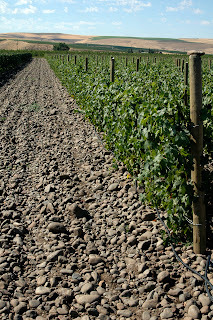 Don Carlo Vineyard also is an Oregon winery using "rocks" fruit in this area. Lori, my apologies for missing your winery and thank you for the correction! I should add that, to my knowledge, the wineries I listed have not been the drivers of the establishment of the AVA. Rather they were the ones I believed met the requirements as I understand them. Great write up Sean. I completely agree on the almost inevitability of The Rocks AVA. When the soils speak so uniquely through the wines it seems appropriate to define that in some way, more so for the future than the present (given that the existing 250 vineyard acres will certainly expand). Also, the Rocks reference was already being used without a formal AVA so this was most likely necessary to “reserve” the name before another region in the country decided to make use of it. It certainly sounds like Steve and Kevin did this the right way, as inclusive as possible while remaining true to the distinctive characteristics that make the wines unique. As an aside, living in far away Tennessee, I get to do some experiments with local wine professionals. Whenever someone tries a Rocks wine for the first time, there’s an almost universal reaction of compulsive sniffing, deep inhaling, repetitive swishing and savoring of the finish. It’s clear that something new just registered in their palate library (as it did with me when I tried my first Rocks wine). As the AVA program manager for TTB, I felt the need to respond to the comment submitted by Micha Nasarow. In order to use an AVA name, 85 percent of the grapes must come from the AVA AND the wine must be fully finished within the State of the AVA. It cannot be produced in an adjacent State and still bear the AVA name. You are correct that to use a State appellation (such as "Washington" or "Oregon"), you only need 75 percent of the grapes to have come from the State, and the wine may be fully finished in an adjacent State. However, because the proposed The Rocks of Milton-Freewater AVA is located entirely in Oregon, you cannot claim that name if the wine is fully finished in Washington. (You could, however, claim Walla Walla Valley or Columbia Valley, since those AVAs encompass The Rocks of Mitlon-Freewater AND straddle the Washington/Oregon line.) You also could NOT claim "Washington" as an appellation in conjunction with this particular AVA name, because if you meet the 75 percent requirement for using "Washington," you cannot mathematically also meet the 85 percent requirement for using "The Rocks of Milton-Freewater." Karen, thanks for the comment and detail. Much appreciated!